SIALKOT (By Abid Mehdi) A young student Shafaaqat Ali, 18 has vowed to continue his lifelong struggle for getting knowledge with fervor and enthusiasm to serve the nation and the country in a better way in future as well. 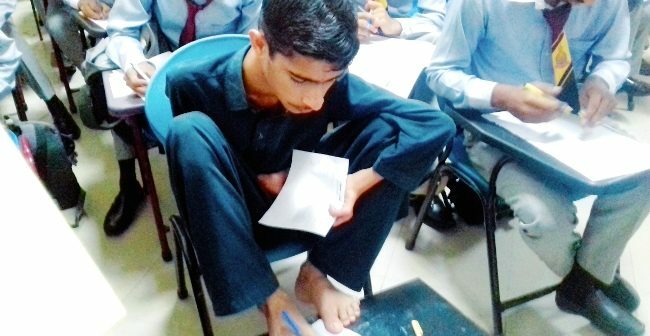 Shafaaqat Ali, now a student of first year (FSc.-Engineering) in a private college in Pasrur tehsil of Sialkot district, Punjab, told that he was arms-less by birth and he had never felt this his weakness of arms as any hurdle in his way to seek knowledge, as he started taking work of hands from his feet by writing with his feet while taking exams as well. He had got 965 out of 1100 marks in his matriculation exams. Now, he has become an embodiment of courage and great struggle with his high aims to achieve all the uphill tasks coming in his way and life. 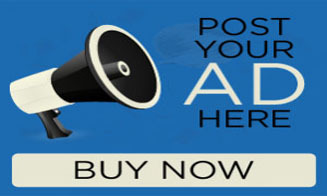 He has thanked all of his school and college teachers for giving him proper attention in getting education as well. His teacher Ashfaq Niaz said “Shafaaqat Ali has a big natural talent; he is wise student, as the nature has blessed him with several talents as he is deprived of his arms”. College Principal Aamir Hameed added that there was no doubt to say that Shafaaqat Ali was a proud student of his college, as we were pleased to provide him maximum relief. He gives encourage to the others when he writes with his feet instead of his arms, he added. Shafaaqat Ali said that he was punctual and he always advises the others to be punctual also, besides, saying prayers. “I often seek help from Allah Almighty in every matter”, he wished to serve the ailing humanity as well by getting maximum education, saying that the education was must to improve in every sphere of life as no nation could develop without the promotion of quality education as well. He also hailed the good behaviour and attitude of his class fellows and teachers towards him. He belonged to a far-off village Sanghey-Qila Ahmedabad and has travel a long daily to reach his college in Pasrur to seek knowledge as well. In his message to all the handicapped people, he asked them not to lose their courage and continue their struggle to shine and to get their achievements as well. He said that work hard was also the key to success as well.